Home » anthropology » Is there a modern mythology of immortality or is it that some stories never die? What is our continuing fascination with immortality? Increasingly there are new films, TV series and books that have living-forever as a central theme. In an increasingly secular world, stories and myths about immortality are shifting from the spiritual immortality, to the promise of living forever. To set the context for this inquiry, postmodern society has been characterised by the disappearance of the meta-narratives of modernity. We no longer collectively buy into ‘grand narratives’ such as Marxism or the Enlightenment projects of linear progression that suggest logical paths of ‘teleological determinism’ – which can be paraphrased as ‘everything happens for some reason, and contributes to some good’. Our resulting world is one that is characterised by more protean and fragmented meaning: self-determinism, individuality and independence have become the goal of western culture. ‘… Our faith in human reason and its ability to transform the world has been severely tested by our experiences in the Twentieth Century…. We were told that our past was merely the necessary means by which we arrived at our truly human present; but as our past traditions faded we came to feel anomie and rootlessness and longed to reinvigorate our fading customs. As the rational, secular world we longed for came to pass, we felt alone and longed for new gods, occasionally accepting vulgarized old ones from panderers as better than nothing. At a time when we are supposed to be spontaneous, self-creating beings we see impersonal bureaucracies everywhere, and an ever tightening technological web encompassing us, complete with impending shortages, ecological imbalances, noxious industrial residues, decreased privacy, a shrinking, overpopulated world’. One of the most influential socio-cultural shifts over the last century has been the reversal of societal focus from the veneration of our elderly to the idolatry of youth. There are many contributing factors that have driven these changes, from the decline of the nuclear family in the west to the impact of America as the dominant global exporter after World War 2. This self-identified young nation (in opposition to Europe) communicated this ‘youth culture’ with its commercial clout. There are many other contributing factors that have contributed to our youth-centric consumer-culture. Having written recently on our postmodern obsession with time running out, this prompted a question of why are we hanging onto time so tightly? It’s not cliché that younger people think that they are bulletproof, perhaps epitomised by James Dean who opined ‘the only greatness for man is immortality’. In this postmodern era that focuses on the development and primacy of the self, is the way that we think about age changing the stories we tell about age? Much has been written on the social-and-cultural impact of the generation tsunami known as the Baby Boomers. Their influence is having a direct effect on many of the stories we are telling within society about age and aging. Is it possible to identify what parts of society are tailoring messages to a generation that aren’t as willing to slip silently into old dotage as much as their predecessors were? What is of interest here is how these deeper narratives and semiotic structures are influencing the discourse on aging in modern western-culture from films, literature and advertising. Entire genres that dominate today’s popular culture are conveying these themes. Moreover, this generation has also become a driving force behind focuses of science and health. 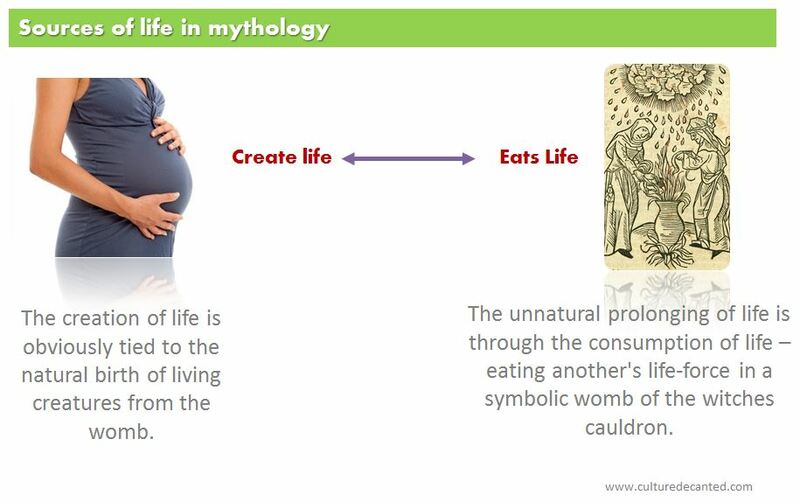 Firstly, it is important to look at the mythology and symbolism that has guided the development of today’s immortality stories. Is this the ‘past’ we are moving beyond? While there are spiritual aspects to the pursuit of immortality across most belief systems, I’m interested in the mortal and secular realm and how these dynamics are influencing modern western culture. We’ve always been on a quest for immortality: the mythology of living forever. To start at the beginning, immortality has been a quest and fascination for humanity since the earliest written records. It’s useful to briefly review some of the key mythology and themes, which are the foundations for many of the stories that we tell today. The first written (extant) ‘story’, the Epic of Gilgamesh, of Mesopotamia c.2100BC, has a central theme of the pursuit of immortality. Since then, the quest for immortality has remained a consistent theme in storytelling across many cultures. The following is an overview of some of the key mythic themes that are in use today. An apple a day keeps the doctor away. Before the modern Superfruits, fruit of many kinds have long been a source of immortality. In Greek and Roman mythology, Heracles steals a golden apple of immortality from the Garden of Hesperides. 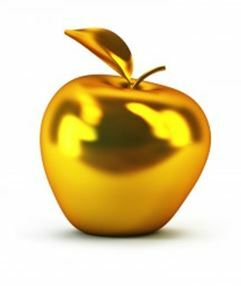 These golden apples grew on the ‘Tree of Life’ and were the source of Olympian immortality. There is a similar story in Norse mythology of golden apples that grow at the base of Yggdrasil – the world tree – which were cared for by Iðunn, the Goddess of eternal youth. It is believed that these were likewise the source of Asgardian immortality. On the other side of the world, there is a similar story in the Chinese epic ‘Journey to the West’ where Sun Wukong, the Monkey King steals and eats the ‘peaches of immortality’ and becomes immortal. Judeo-Christian and Muslim cultures has the apple as central to one of its pivotal starting narratives, the casting out of Adam and Eve from the Garden of Eden as a consequence of eating the forbidden fruit; outside Eden they were condemned to mortality. It is believed that while the apple in the Bible is fruit from ‘the tree of knowledge’, this later became merged with ‘the tree of life’ symbolism. The Icthyophagi then in their turn questioned the king concerning the term of life, and diet of his people, and were told that most of them lived to be a hundred and twenty years old, while some even went beyond that age- they ate boiled flesh, and had for their drink nothing but milk. When the Icthyophagi showed wonder at the number of the years, he led them to a fountain, wherein when they had washed, they found their flesh all glossy and sleek, as if they had bathed in oil – and a scent came from the spring like that of violets. The water was so weak, they said, that nothing would float in it, neither wood, nor any lighter substance, but all went to the bottom. If the account of this fountain be true, it would be their constant use of the water from it which makes them so long-lived. In Alexander the Great Romances, there are stories of Alexanders quest for the Water of Life that appears influenced in the telling by contemporary Indian mythology. Much later, Ponce De Leon, the Spanish Explorer who in 1513 accidentally discovered Florida, was reputed to have been exploring in search for the Fountain of Youth (although this is not historically accurate). 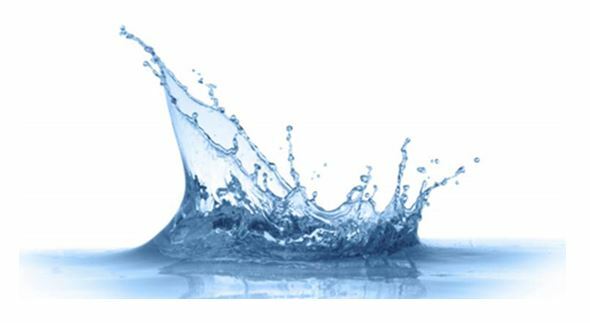 The liquid doesn’t have to be water; there are other liquid sources of immortality. Ambrosia as the drink of the Gods of Olympus in Greek etymologically means ‘of the immortals’, which is linked to Nectar in some Greek stories. Similar liquids can be found in Hinduism which were called Amrita or Soma. The Gods Indra and Agni both gained immortality by drinking Soma. We have drunk Soma and become immortal; we have attained the light, the Gods discovered. / Now what may foeman’s malice do to harm us? What, O Immortal, mortal man’s deception? The word we use today, whisky, has its origins in meaning as a Gaelic translation of the Latin for distilled alcohol ‘aqua vitae’ or ‘water of life’. Another elemental source of immortality was fire or light. An influential symbol here is the phoenix, a mythical bird that cyclically rises again from the ashes of its predecessor. The bird is closely linked to Solar symbolism and the new day. In early Christian symbolism, phoenix symbolism was linked to the resurrection and immortality of Jesus. This light symbolism is tied to announcing his birth and his second coming. In literature, the use of fire was how ‘She’ in Rider Haggard’s novel of the same name, maintained her immortality. In popular-culture, this is also how the longevity of Dr Who has been explained as he regenerates through the bright time-stream at the heart of the Tardis. Immortality was believed to be achieved through contact with sacred artefacts. Perhaps the most famous is Sir Galahad, which achieves immortality in achieving the Holy Grail. 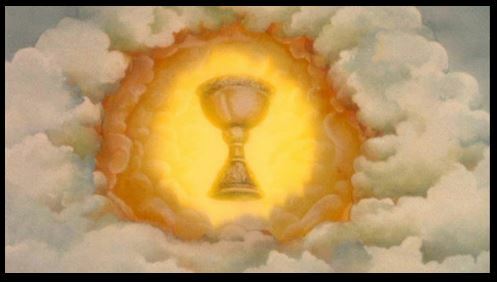 A theme that was central to Indiana Jones and the Last Crusade where Indiana’s father is saved by drinking water from the Holy chalice. 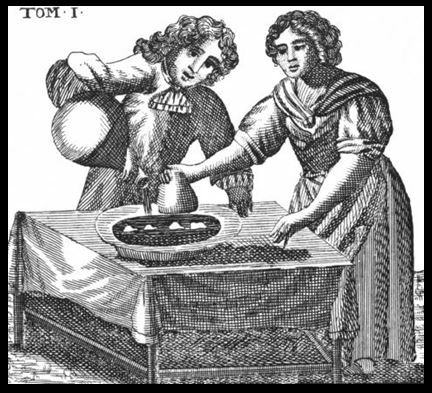 Mutus Liber, one of the most famous alchemical works, consists of fifteen engravings which demonstrate a man and woman performing a sequence of chemical processes. The book contains no text, which is why it is known as the “Mute Book.” Alchemists could read and follow the instructions in the images to create the Elixir of Life, which is said to promote good health, longevity and even immortality. If we review this mythology there are some consistent themes. The most common aspect here is that immortality comes from something that is either consumed or we drink. This makes intuitive sense on a physiological level since good nutrition has long been linked to longevity, just as malnutrition has been with death. Not surprisingly in modern society, a consumer-culture, many of our stories relate to consumption, rather than fire or religious symbolism. How stories speak to immortality is influenced by two primary dimensions. A common Jungian dimension on life symbolism is the opposition between the ‘mother’ and ‘the witch’. These are consistent themes in contemporary stories of immortality. Witches live a long life because they eat the life of children. I’ve written about this vessel-metaphor symbolism in more detail previously from more of an anthropological perspective. Reminding ourselves, this is also the basic divide of the biological world; you are either plant or animal, create your own food or eat others. On the one hand, we have the elevation of the hero to the status of God and immortal; as Heracles at the end of his life joins the Pantheon at Olympus. There are many other examples of heroes who become demi-gods across numerous different belief systems. Juxtaposed to this is the fate of Tithonius who was destined to remain alive forever but to age like a normal person. It could be said that a continuation of this theme in Christian mythology from the 13th century might be the tales of ‘the wandering Jew’, who on taunting Christ at the Crucifixion was cursed to walk the earth till the second coming. 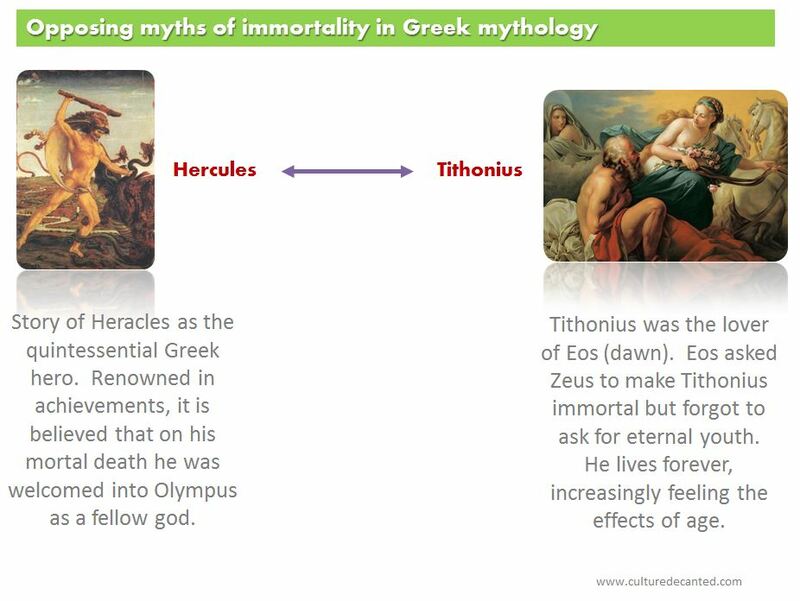 Perhaps the myth of Tithonius is something to consider deeper because it is more achievable with emerging modern science. If we look at the impact that many years has had on the long-lived in popular culture – what are these writers telling us? In the Hobbit, or Lord of the Rings, Tolkien’s elf’s left the Middle-earth from the weight of immortality, that cumulative sense of loss that was too heavy to bear seeing such frequent death. Dorian Gray is variously portrayed, most recently in Penny Dreadful, where he is constantly looking for anything that will alleviate his boredom. Dr Who in recent times falls into a deep melancholy of fearing to get close to others since they don’t survive forever. The 80’s hit Highlander has a race of immortals fighting in a timeless battle, but the mortal loss of friends and their aging are the real constant pain. A notable Hollywood version of the Tithonius myth was in the 1992 comedy ‘Death Becomes her’, where two of the female leads become immortal so they don’t age but like Tithonius, this does not make them invulnerable, just ageless. In this, the Bruce Willis character learns this lesson, and embraces his later years of aging naturally with a passion. A graceful and honourable old age is the childhood of immortality. We can use these mythic-axes to look at contemporary story telling. This quadrant is illustrated with Gods in movies but is also occupied by other supernatural creatures that appear to be out-of-time such as Elves and other mythical creatures. These creatures true to the mythology of different belief systems maintain their longevity through natural means. This quadrant is the opposite of the previous, instead of being naturally long-lived; these stories revolve around the theft of life from others. Vampirism is a very popular genre at the moment in Hollywood – appearing almost everywhere. It is worth noting that the idea that your life is sustained from others has been reinterpreted in recent years in novel ways, from the planetary mysteries of Jupiter Ascending to the commercialization of life-force in ‘in time’. 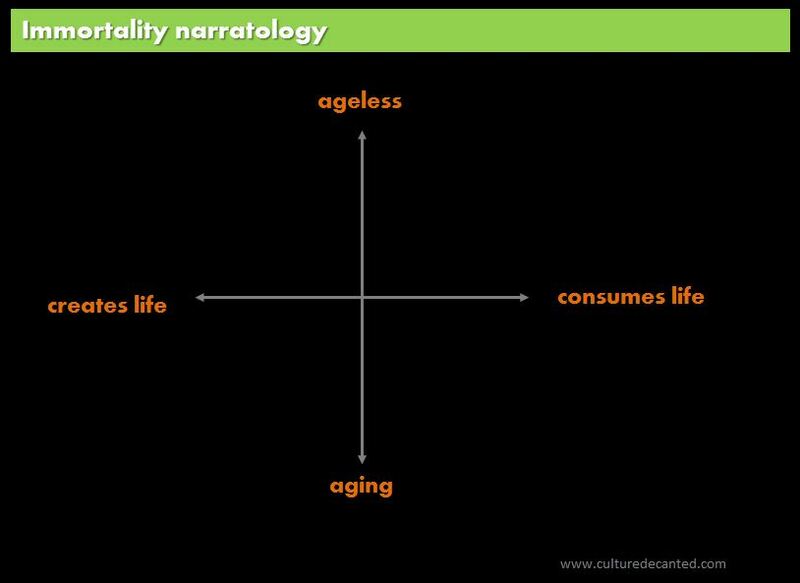 Stories in this quadrant tend to revolve around the postponing of aging through the consumption of others or their life-force. Charlize Theron’s psychopathic killer in a Snow-white twist reverses ageing through killing younger women (with a nod to apple symbolism in the story). The Zombies in Walking Dead decay progressively as the season’s progress in real time; this is only abated by eating fresh flesh. I’ve included Dorian Gray in this group since the he offsets the cost of his youth, against the decay of his painting. Here we find characters with preternaturally long lives or extended youth. In recent times, this area shows the true magic and mythologising power of Hollywood through pseudo-realism, as it breathes new life into latent careers. Dubbed the Geriaction genre – we’re likely to see more of it as Baby Boomers see a positive reflection of their own potential. For example in Red, we watch a 60 year old Bruce Willis perform moves that John McClane would envy nearly thirty years ago. The Expendables of Sylvester Stallone 67, has become a successful global franchise that dusts off 80’s stars and puts them front and centre of action Hollywood. In ‘The Best Exotic Marigold Hotel’ we see Judi Dench and others play credible romantic leads. While at 80, Dame Dench might have regrettably forgone the action genre of James Bond, she still remains active in the romcom genre. There is no doubting that the more positive messages of some of these films shed light on ageist stereotypes in society and are acting as positive forces. However, what is the cumulative message are we communicating? There is a difference between wanting to have a full life and wanting to live forever. While films like The Best Exotic Marigold Hotel humanise a lifestage, the majority of Hollywood and popular culture are dominated by stories that stem from the premise that the only way to maintain youth is to steal it. It’s a truism that Hollywood reflects back part of modern society. Perhaps it’s not surprising that some luxury skin creams are made with components derive from human placenta, as we innovate in increasingly diverse ways to ward off aging. Additionally, there is an increasing global problem with illegal organ theft and trade. Are vampires and zombies genres normalising the idea of a more parasitic and extended human life? As stated at the start, this is a two part discussion. The second part to this discussion will focus more on the semiotic dimensions that are influencing advertising and societal perceptions. Also, if the dominant narratives are about extending life at any cost, is this reflected in contemporary science and medicine? I don’t know what to say honestly. The physical pursuit of immortality had long past, I believe mostly to the Churches work. The author mentioned the transition from physical immortality to spiritual and covered some good bases. The Garden of Idunn and Eden is a neat coincidence, OP. I believe chemists will discover immortality this century if they haven’t already. It’s not the type of thing you just throw to press to torment people like other vaccines. But we’ve also learned a healthy diet and exercise can take a person much further in life but some people are just predestined to have health problems because of their genetics. There’s were I abandon the conversation, people don’t want to hear about genetics. Hi Mr Thomas, thanks for reading and feedingback. Much of what we know of Norse mythology was written by Christians, hence there are many parallels – but fruit has been associated with longevity across most cultures. It’s easy to understand human desire not to die – we mostly do that. Various cultures and religions over time offer an option but the variety tends also to underline the futility of the rise and fall of the solutions offered. Modern shifts in a secular belief system now hope in scientific solutions to aging and longevity. However the bumper sticker “One life – live it!” seems to show an increasing acceptance of the inevitable. Symbolism, semiotics, responses to cultural provocations are dying (horrible pun!) and atheism, secularism and acceptance increase. It’s a good thing – education – no false hopes, burdens of sin, fear of eternal fires, church led asset rapine on death beds (that’s how Cathedrals were funded!) lead to an understanding of real life and death. I wonder sometimes if in modernity that we are so paralyzed between regrets about the past and concerns about the future that we forget to live today. One life, Yolo, carpe diem, etc we constantly surround ourselves with messages to remind us to live now. When did we get so distracted?